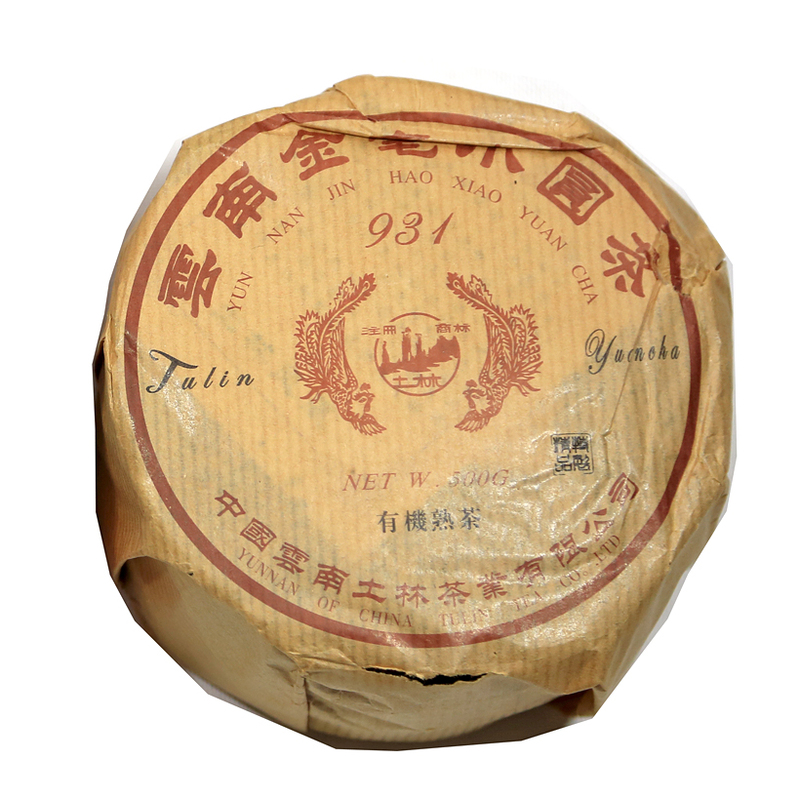 This is an iron Pu-erh cake, or a round tea, which means that the tea has been heavily compressed and there is no indent on the back side of the cake as is customary on Pu-erh beeng cha. Iron cakes will keep well for long-term aging as the compression leaves very little room for air pockets, so the leaf is less affected by air than with more loosely-compressed cakes. In fact, this box contains 4 iron cakes each of which weight 125 grams, so it is a good value. The cakes are wrapped together in one paper packet, not separately. 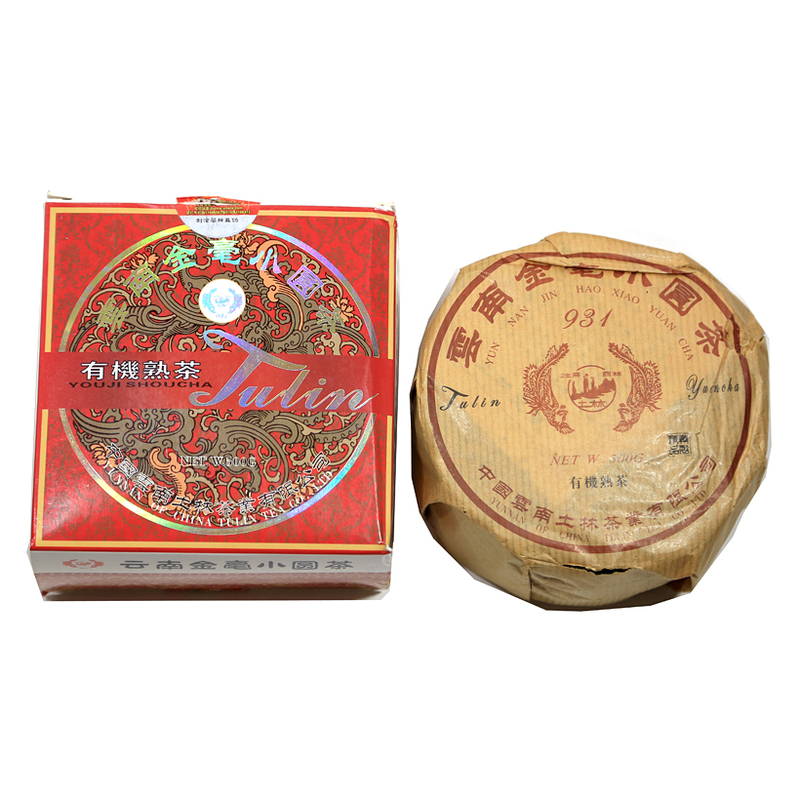 These cakes are made from Wuliang Shan and Lincang tea harvesting area leaf materials and the taste is pure, mild, and smooth. The tea is aromatic and ready to drink now or will keep well for long term storage. 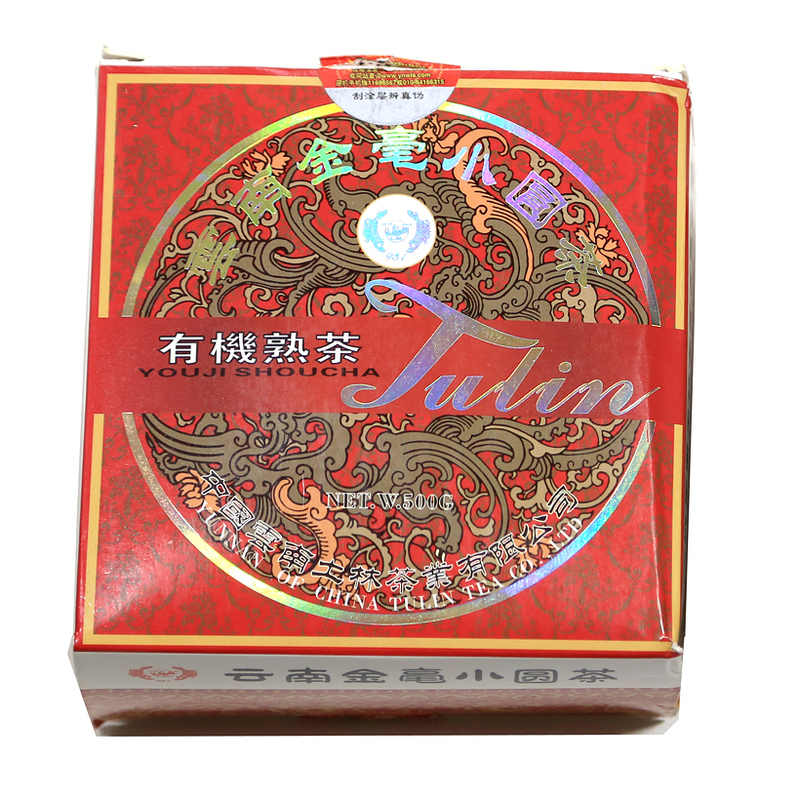 This Nan Jian Tulin beeng cha is made with leaf materials gathered from tea harvesting areas on Wuliang Shan at approximately 6,500 feet in elevation and also from tea harvesting area of neighboring Lincang. Lincang produces many of Yunnans finest teas, including dian hong black teas from the Feng Qing area (another of our favorite tea producing regions of Yunnan), and also Pu-erh from ancient tea trees in the Mengku tea harvesting area.